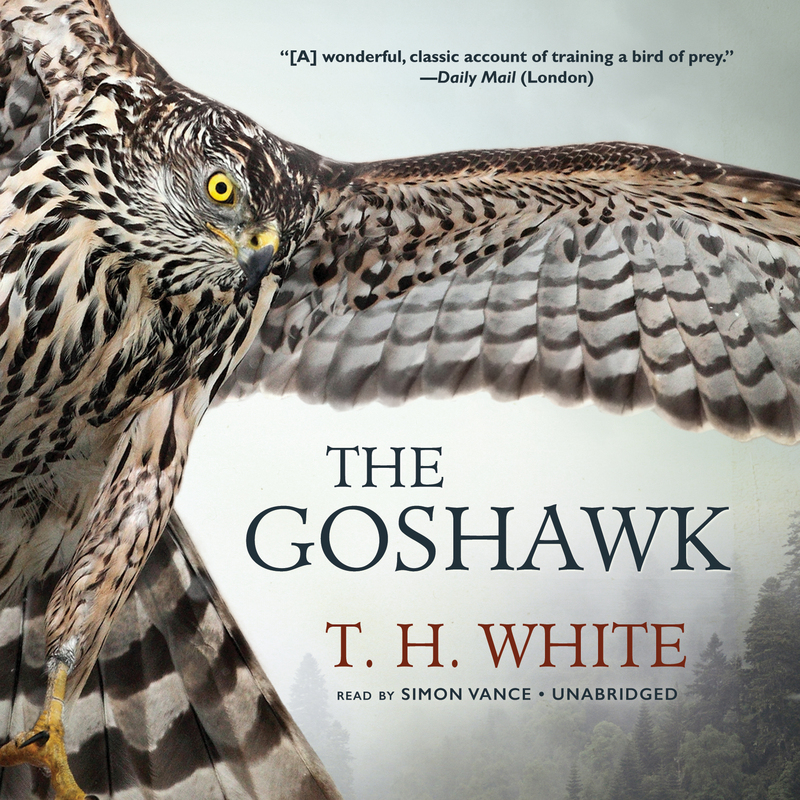 The Goshawk - Audiobook | Listen Instantly! The predecessor to Helen Macdonald’s H Is for Hawk, T. H. White’s nature-writing classic, The Goshawk, asks the age-old question: What is it that binds human beings to other animals? White, author of The Once and Future King and Mistress Masham’s Repose, was a young writer who found himself rifling through old handbooks of falconry. A particular sentence—“the bird reverted to a feral state”—seized his imagination, and, White later wrote, “A longing came to my mind that I should be able to do this myself. The word ‘feral’ has a kind of magical potency which allied itself to two other words, ‘ferocious’ and ‘free.’” Immediately White wrote to Germany to acquire a young goshawk. Gos, as White named the bird, was ferocious and Gos was free, and White had no idea how to break him in beyond the ancient (and, as it happened, long superseded) practice of depriving him of sleep, which meant that he, White, also went without rest. Slowly man and bird entered a state of delirium and intoxication, of attraction and repulsion that looks very much like love. T. H. White (1906–1964) is the author of the classic Arthurian fantasy The Once and Future King, among other works. He was born in Mumbai, India, to English parents and educated at Queen’s College, Cambridge. His writings have had a strong influence on both J. K. Rowling and Neil Gaiman.